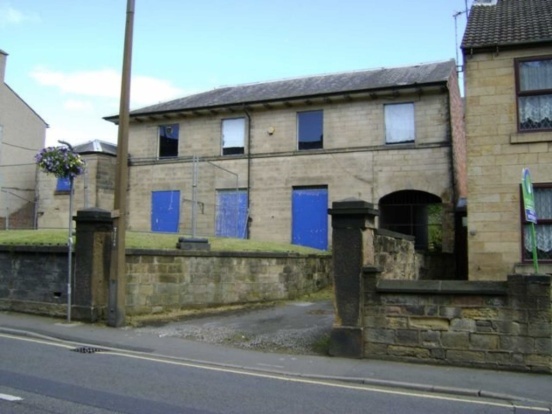 The Inspector appointed by the Secretary of State for Communities and Local Government has dismissed the appeal by Chevin Property against the decision of Amber Valley Borough Council not to allow redevelopment of the building. Chevin Property wanted to replace the building, which started life as a private school c.1830, by a three storey block containing 15 dwellings and build a further block of 4 dwellings. The Belper Civic Forum campaigned to protect this historic building within the World Heritage Site and are very pleased with the Inspector’s Report which makes very interesting reading and will provide useful information and precedent should similar applications arise again. For example, in response to the appellants case that decay to the building in recent years had reduced the opportunities for retention and repair the Inspector stated, “In my opinion this amounts to deliberate neglect”. Chapel street. 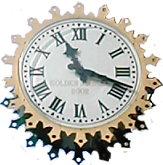 In later years it was adapted and used for manufacturing and retail. The front part of the building is a well designed, good quality, example of a 19th century villa that although currently in poor repair, is an attractive feature of the street scene. 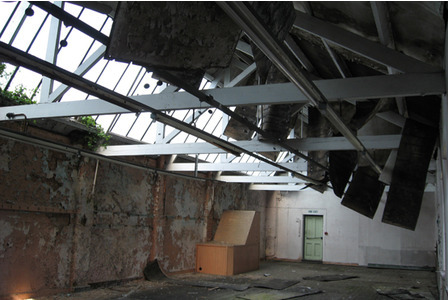 It is not listed, however it forms part of a group buildings that bear witness not just to an extraordinary transformation in manufacturing, but to the economic and social changes that accompanied industrialisation and shaped Belper’s growth in the 19th century. on sale 2011 £450,000 H2S Commercial are pleased to offer planning Consent for 11 dwellings and 4 commercial units. Site area approximately 1818 sq.yds / 1521 sq.m. Existing buildings gross internal area approximately 7220 sq.ft. 671 sq.m. Prominent excellent town centre location fronting main A6 trunk road. Potential for excellent mixed scheme involving 11 dwelling houses and retail / office accommodation. Attractive existing historical building. A BELPER company which is moving out of the town is set to unveil plans to build around 75 houses on its present site.The company is set to move into the new premises, which are currently under construction, next summer. There has been speculation about what the company would do with the old Spencer Road site, which has been the firm's home since 1941. Next week, Deb is staging a public exhibition to unveil its plans to demolish the existing buildings and build around 75 houses on the land at Spencer Road and opposite on Nottingham Road. Most of the properties would have two or three bedrooms. Deb is now in the process of applying for outline planning permission from Amber Valley Borough Council. But the firm wants to hear the views of local residents, which is why it has organised the public exhibition in Belper. Managing director Jeff Bell said: "We are in the process of working on the full design details, but what we are proposing is a high-quality development which would fit in with the character of the area. "Drawings of our ideas will be on display at the exhibition and representatives from Deb will be on hand to explain our ideas and answer any questions people may have." Carole Beavis, 45, of Spencer Road, said she was not concerned about the housing plans. She said: "I don't think they will create extra traffic because the Deb traffic will just be replaced with residential traffic.I think it's a shame that another company is moving out of Belper." Deb's new base at Denby Hall Business Park in Derby Road will feature a manufacturing and distribution warehouse. The development involves constructing a 150,000sq metre warehouse and production building, a three-storey office block and a car park. Developers Morgan Ashurst, is due to complete work in March and Deb is hoping to move in by next June. The firm said that a new base was essential to future plans for the business. Deb employs 180 and 45 jobs are expected to be created by the move. The firm said that the new headquarters would also include a new laboratory for its research and development team, which will work on new products and patents. Deb started life in the house of Audley Bowdler Williamson, the man who invented renowned skin cleaner Swarfega. Mr Williamson died, aged 88, in November 2004. The exhibition will be on the first floor of Deb's Spencer Road headquarters, on Wednesday from 4pm to 7pm. In April, Deb, which makes skincare products, including Swarfega, announced it was moving from its Spencer Road site in Belper to a new £9.5m purpose-built headquarters at Denby. DEMOLITION work on one of Belper's oldest factories is well under way. The levelling of the former Deb Ltd factory in Spencer Road started after the site was purchased by house-builder Wheeldon Homes. Wheeldon plans to build a 78-home development on the site and on car park space across the street, on Nottingham Road. 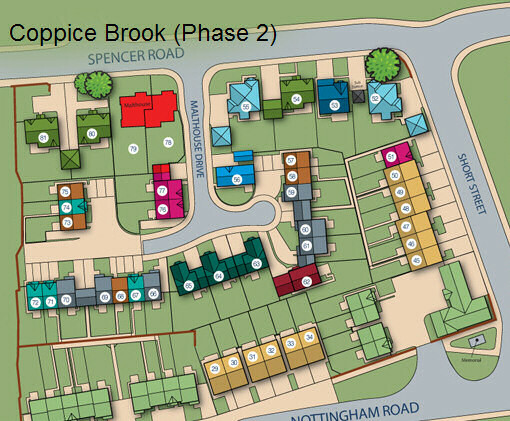 The development, which will include houses and apartments, will be called Coppice Brook. The old Deb factory has been vacant since last year when the company moved to a new 19million purpose-built site at Denby Hall. As the former headquarters of Deb, it was home to the manufacture of Swarfega. 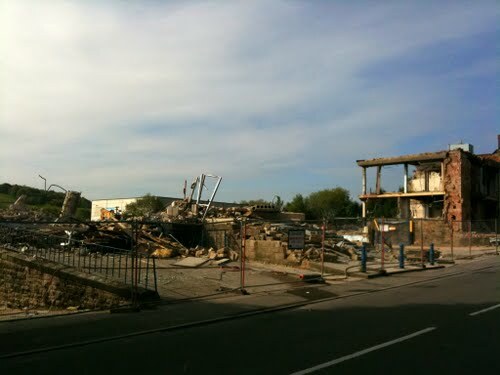 Work on demolishing the former Deb factory in Belper to make way for a new housing estate has started. The Spencer Road factory, and its car park on Nottingham Road, are being bulldozed to make way for a development of more than 70 homes, which will be called Coppice Brook. The Wheeldon Group, which bought the site after workers moved to a new factory in Denby, is hoping to have the development completed within a couple of years. Debbie Smith, sales and marketing manager at the Derby firm, said: "It's subject to getting detailed planning permission, but we're hoping to have a sales presence on there by Easter. We want to keep the Nottingham Road site with the car parking as clean and tidy as we can. We will make the most of the land for as long as possible." She said the homes would look very traditional and fit in with houses in the surrounding area. Red brick, stone and grey slates will be used – similar to homes Wheeldon has developed at Church View, on Chesterfield Road, and Mill View, off the A6 towards Ambergate. The demolition work would take around 12 weeks, and then building work would begin on the first plot of 19 homes. It will include five two and three-bedroom affordable homes, and 14 three and four-bedroom detached homes at market value. Nearby residents and councillors have voiced concerns about the amount of traffic which would be generated by the site. When the development was approved a year ago Cllr Alan Cox said he was worried the extra cars would lead to accidents at the already hazardous roundabout at the junction of Nottingham Road, Short Street, and Kilbourne Road. Residents on Spencer Road said when the application was submitted that they were happy they would no longer have to deal with large noisy lorries visiting the site. Staff left the Deb factory and moved to new state-of-the-art 18.4 million premises in Denby in last year. The Spencer Road site had been operating for more than 60 years, since it was set up by Audley Bowler Williamson in 1941. The name 'Swarfega' is known around the world, for the industrial strength hand-cleaner is today sold in over 100 countries, and has given its name to a full range of skin-care products made by the Belper-based company DEB Ltd. Here is a potted history of the product and the Derbyshire man who invented it. 'Swarfega' may not be the most glamorous product in the world. But it is one of the most essential. It cleans even the toughest grease and grime off dirty hands - and there are dirty hands the world over. The old saying 'where there's muck there's brass' certainly holds true for the makers of Swarfega. He was born at Heanor, Derbyshire, in February 1916, and attended Heanor Grammar School. He might well have joined the family haulage and bus company, but instead at the age of 18 he became a trainee industrial chemist at the Silkolene manufactory Dalton's in Belper. At the tender age of 25 in 1941 he founded Deb Silkwear Production Ltd., the name being decided upon when the firm made its 'debut' on the market. From small premises at Belper,'A. B.' developed his first product, a mild solution for hand-washing silk stockings, intended to prevent them laddering - quite a necessary product in those austere wartime days. But all too soon the product became obsolete, for shortly after the Americans entered the war, new-fangled 'nylons' replaced silk stockings as every lady's choice. 'A. B.' needed further inspiration, and quickly. It came close to home. Raised in a household where dirt and grease were the product of everyday, he determined to invent a skin-friendly detergent which would clean hands without leaving them red raw. His new product 'Swarfega' was registered as a trademark in 1947. The unusual name was simply formulated - 'swarf' was the name used in industry for the grimy mix of oil and metal filings which spoiled the hands rotten. And every worker in the land was 'eager' to be rid of it. 'Swarfega' was the catchier adaptation. It was the first hand cleaner of its type in the world, marketed with the neat slogan 'Clean Hands in a Flash'. Motor mechanics lapped it up, as did the home tinkerers working on their cycles, motor bikes or cars. But the more important breakthrough came via the institutional purchasers and large industrialists - the armed forces, National Coal Board, steelworks, railways, shipbuilders and car manufacturers all became valued customers ordering huge quantitities. 'Swarfega' had become a winning product almost overnight. By the time A. B. Williamson retired in 1986, DEB Ltd. had become Britain's largest manufacturer of skincare products for the workplace, with more than 20 brands supplied to over 100 countries. In 2004 the one remaining member of the Williamson family still involved in DEB sold his stake in the company. By then it boasted an annual turnover of 160 million, and he is said to have sold his share for £135 million. As for 'A. B.' himself, he sought to put something back into the local community. He established the Belper Civic Association and the Ryklow Charitable Trust, which helps fund wildlife, environmental and Third World projects. The trust also provides student grants and assists charities which support disadvantaged families. In retirement A. B. Williamson followed his hobbies of gardening and sailing. He died in November 2004 aged eighty-eight, leaving the bulk of his fortune to charity. He was survived by 'Swarfega', which continues to rid the world of grimy hands to this day.